For those that do not know Edmonton is 4 hours from the mountains so I cannot just wake up and decide to go skiing on this day or that. 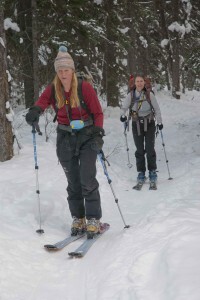 The past few years I have been ski touring almost exclusively. Our river valley offers very little opportunity to pursue such a passion. Snow came early this year but I was not able to take advantage of it. We were in Africa. So I headed west as soon the Christmas holidays were over. 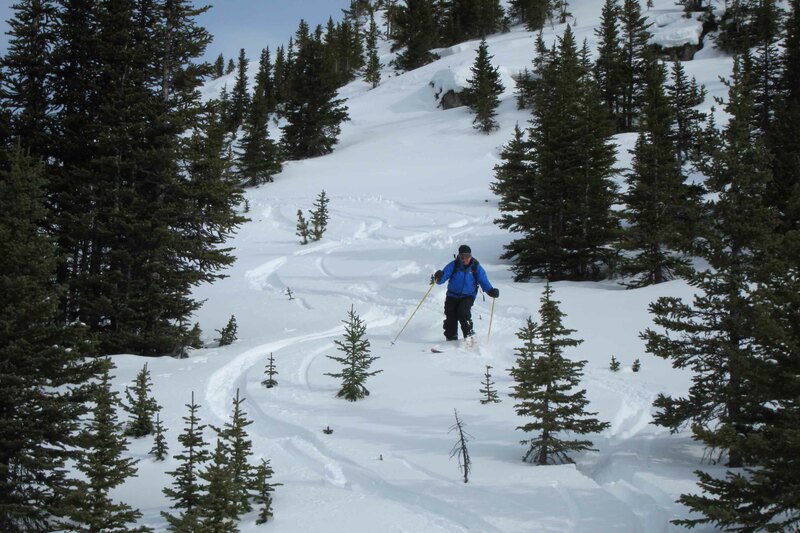 Part of backcountry skiing is the serene surroundings and the busiest time of the year (Christmas) in the mountains means more people in the backcountry and since I’m retired I do not have to be there when the crowds are. The skiing in the Rockies is mostly marginal at best before January anyway so even though the snow came early I did not miss much. I managed 4 days in January. 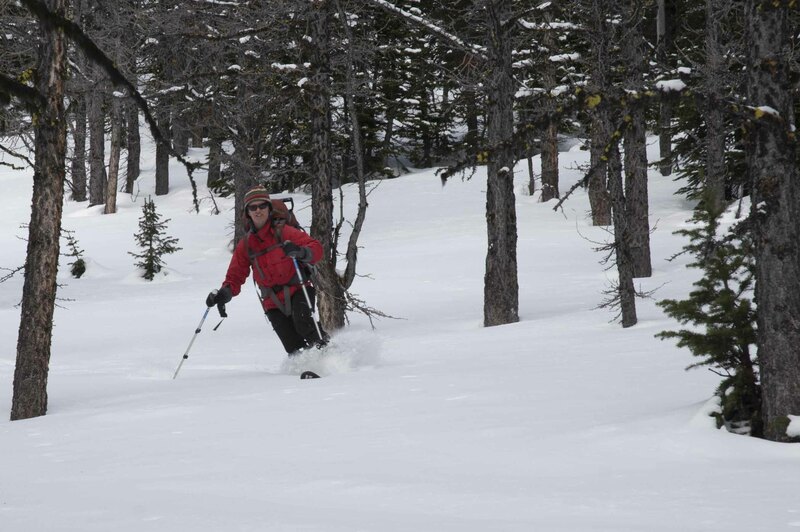 All four were up into areas I had never skied before. Three out of four had snow that was at least knee deep. Although the snow was very dense and hard to ski it is that kind of skiing that we walk up mountain for 3 or 4 hours for. The other day the snow was not deep but it was light and fluffy and was like skiing silk. 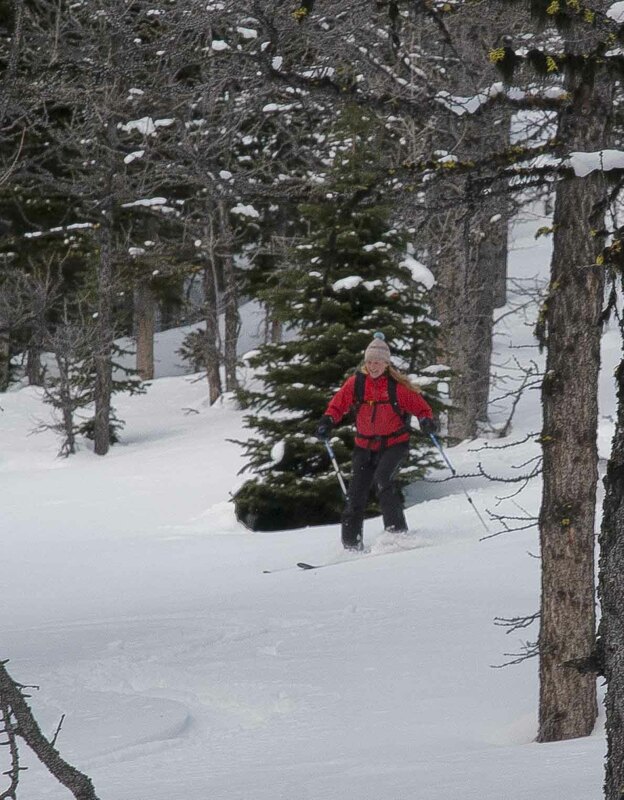 Back country skiing is not for everyone. It is gear intensive, I carry a 10 kg. pack on my back all day. It is a long tough slog up hill sometimes through knee deep snow. There is always impending danger; avalanches, injury, and I suppose animals. 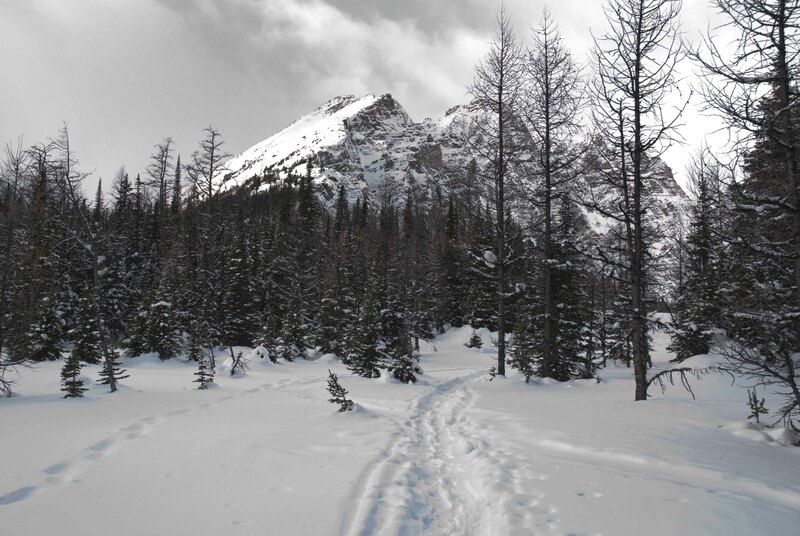 There is no guarantee of good snow, which at the end of the day means a nice walk in the woods. The out track is often not enjoyable skiing, but it can be fun, if not a little dangerous. The fact is even when I ski at a resort I look for marginal conditions to challenge myself. I can ski the piste reasonably well and it no longer holds much interest for me. 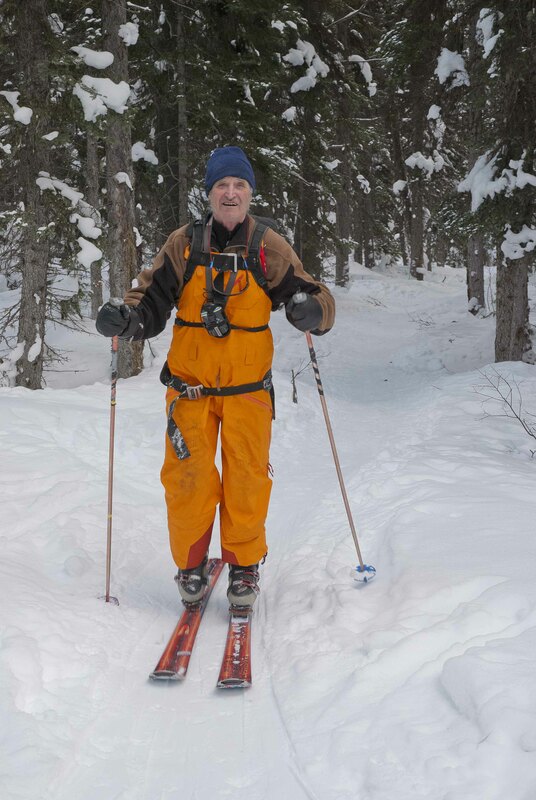 The last few winters 90 % of my mountain days have been in the backcountry and I do not see that changing. I am hooked. To feed my addiction I have to travel. This week we go again. As I said there are no guarantees but the fix should be enough to abate the shakes for a week or two. This entry was posted in Western Canada and tagged backcountry skiing, Banff, Canadian Rocky Mountains, Canmore, Rocky Mountains, Winter sports. Bookmark the permalink.